In Zurich, nature lovers can find countless green oases, which are the perfect place to relax. 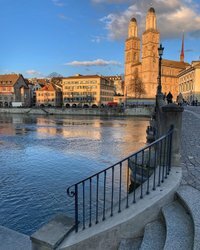 In Zurich, city life and idyllic nature are very close together. 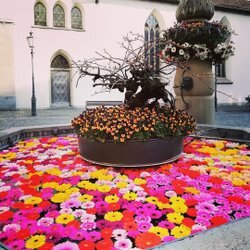 With its home mountain, the Uetliberg, Lake Zurich and the two rivers, the Limmat and Sihl, the city is set amidst beautiful natural surroundings. Contributing towards this natural diversity in the heart of the city are countless green oases. The parks leave a distinctive mark on the urban landscape and provide a place for friends, family members or work colleagues to spend many relaxing hours together. 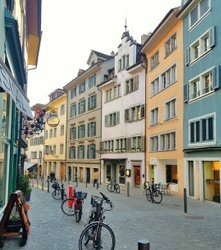 Here, Zurich residents meet to picnic, chat, read, stroll and unwind. Zurich is home to around 70 parks and green areas. These also include stately museum parks and fragrant botanical gardens, all of them open to the public. The following list provides an overview. The Platzspitz is one of the oldest and most historic areas of greenery in Zurich. The lakeside park area encloses the lower basin of Lake Zurich with a splendid promenade. The Bäckeranlage is a park located at the heart of the lively Kreis 4 district. A visit to the Botanical Garden is also worthwhile in bad weather. A historic park with large meadows, pools, old trees and benches. The Chinese Garden is a temple garden and one of the highest-ranking gardens outside of China.